Speaking to Xfm's Gordon Smart backstage at Benicassim Festival in Spain the former Oasis guitarist admitted he's ad some great live experiences at the intimate venue. "I like doing acoustic gigs and I've never played Dingwalls before. I've seen some great gigs there… I might have seen one of The Coral's first every gigs there and I've seen Dr John there and it was nice to be asked and I do my bit for the kids." "I do different songs acoustically and there's three of us now - we've got the Scouser player on guitar and doing backing vocals - I'm performing all my own work." Support on the night will come from Jake Bugg, "I'm a big fan," Noel confessed. "I've yet to meet him, I'm kind of a YouTube fan of his." 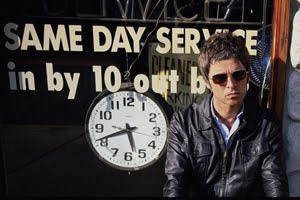 Listen to Xfm and check xfm.co.uk and noelgallagher.com for further details on how to win tickets for this unmissable acoustic performance from a true Xfm Legend.